/Lelong Buyer Guide /How to Register? You can easily register yourself as a Lelong.my member within the next 2 minutes. 2. 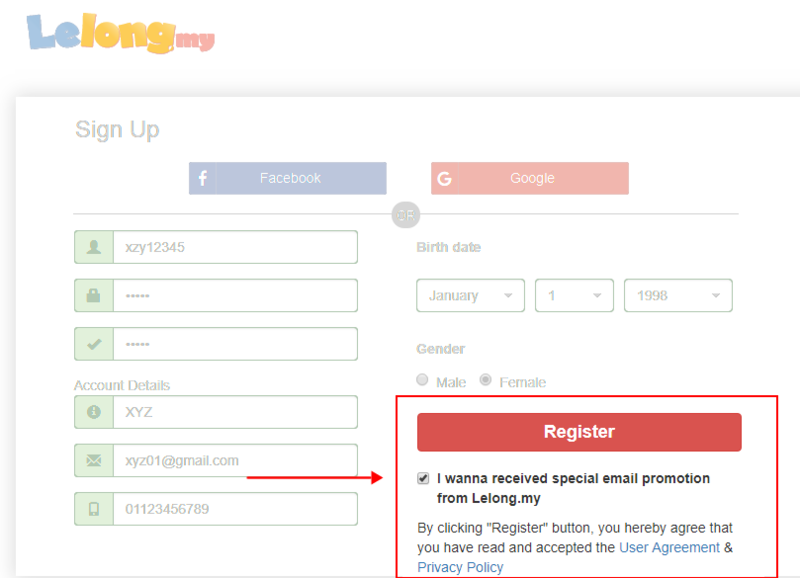 At the top right-hand side, you can click on “Sign up”. 3. The registration is free, but you are required to fill in all the required field. 4. Key in the Username/ID of your choice. If it is taken, please try and choose another. 6. 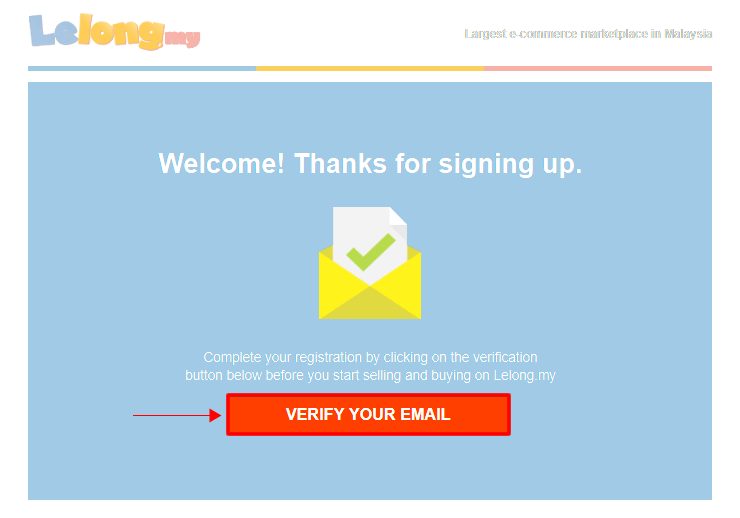 A verification link will be sent to your email address. 7. Check your email for the verification. 8. If you didn’t receive your verification email, you can click on “Resend Verification Email” button to request the Email Verification again. 9. Once you completed, click on the verify button to complete your registration. 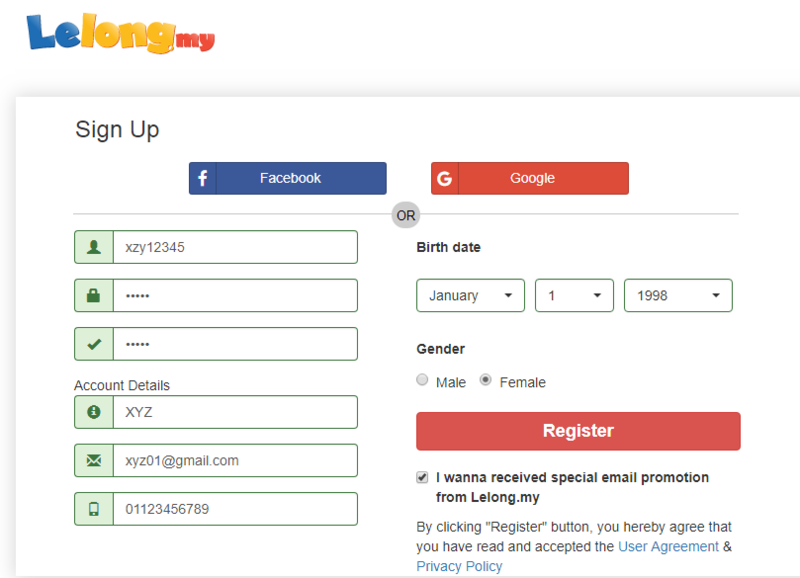 *You can also register with your Facebook & Google+ account. Click here.